With an aim of helping patients set up a positive attitude to overcome pessimism and fear, and organizing patients to have physical exercise that to make them note the living style and rehabilitation, we have set up a Wardmate Club, which assembles patients together to fight the cancer confidently. 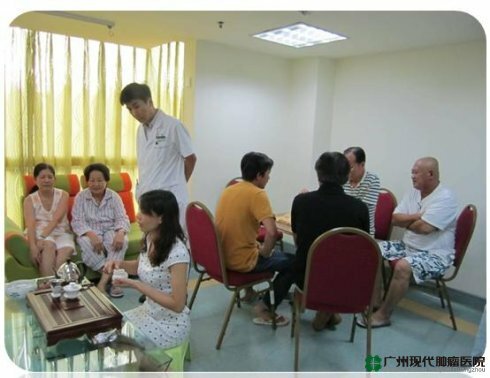 In Wardmate Club, you can enjoy some activities related to regimen and recovery, for example, drinking tea, chatting, playing chess and cards, watching TV and CDs, which at the same time serve you a better communication with other patients. Now and then hospital holds some recreational and sports activities like movie enjoyment, yoga, Taiji and mountain climbing to help you and your accompanied family member to get rid of the loneliness from a strange land. During your treatments, we would arrange you and accompanied family tours of feature spots and shopping according to your physical condition. As a famous cultural city experienced thousand years, Guangzhou has many famous places of historical interests and scenic beauties, such as Yuexiu Mountain, Sun Yat-sen's Memorial Hall, Huanghuagang, Botanical Garden of Southern China, Baiyun Mountain and so on. 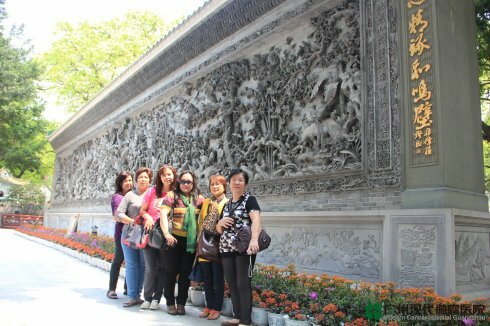 Hospital conducts cars for One-day Tour in Scenic Beauties of Gaungzhou monthly and Shopping Tour twice a month, from which you and your family can visit those feature spots, enjoy special delicacy and buy the Chinese products in good quality and reasonable price as souvenirs. Chief physicians, directors of endemic area, your attending doctor would visit you regularly to know the symptoms, postoperative and medication reaction and other physical condition. Dietitians also come to the VIP rooms to offer you nutrition consultation and meal instruction based on your exact condition. Besides diet suggestion, they also tell you food prohibition and nutritional supplement in details. Actually, foods for daily three meals are the best medicine to help you recover soon if being matched reasonably with balanced diets. Medical staff would come over to provide you considerate services in medical and living aspects, while they also comfort you mentally and inquire your each demand so as to make it to out limit. Professional interpreting team is always there throughout your treatments, from which we can fully understand your needs and eliminate the communication problems. Concerns form hospital leaders. The leaders of hospital pay great attention to each overseas patient. They not only request the doctors to be responsible of and care everyone, but would also visit you personally to know your condition and express their concerns by presenting flowers and specialty of Guangzhou on your discharge. Hospital offers one of your accompanied family members a free physical checkup in each time of your return visit, from which your family members know about their physical conditions exactly. 2. BW ultrasound of liver, gall and spleen (under empty abdomen). 6. TCT (thin prep cytology test). 2. BW ultrasound of liver, gall and spleen.